Jeff and I went for a walk to test out his fix NFT. 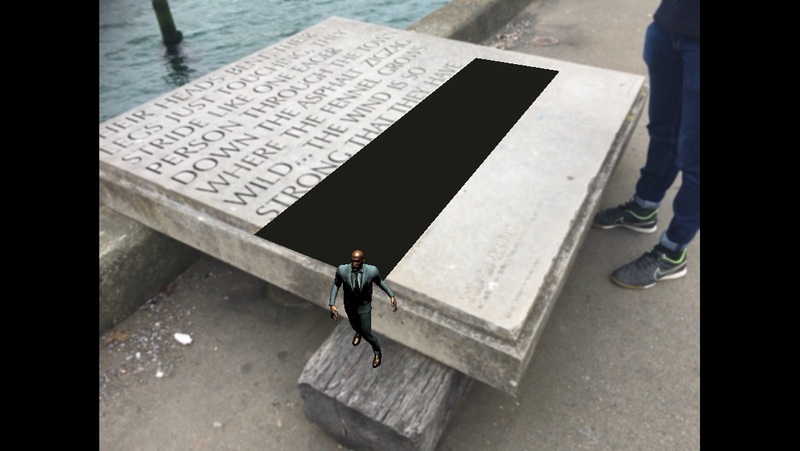 To do this he adjusted the tracking of the feature points that the software tracks to only be the text (and not the texture of the stone). To do this we developed a simple scene in which we could test the tracking and see if it worked on the actual typographic sculpture. 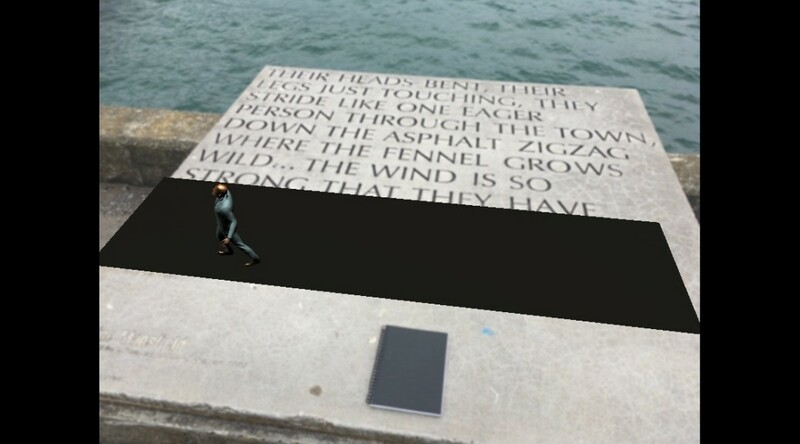 The result, seen below, worked well and tracked nicely using three lines of text on the sculpture. We also had a look for other natural features we could track. 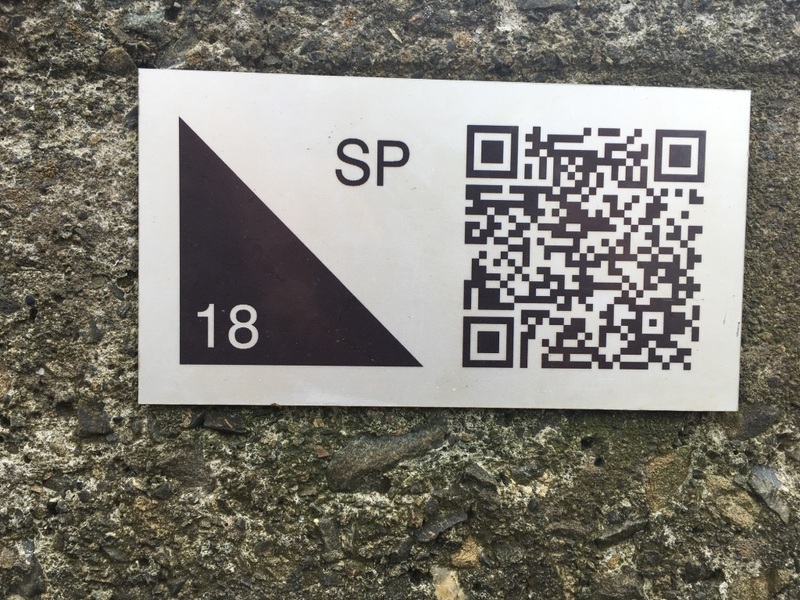 One of the points of interest we found were hidden QR Codes which we later scanned and found they were markers for Orienteering on the Waterfront. 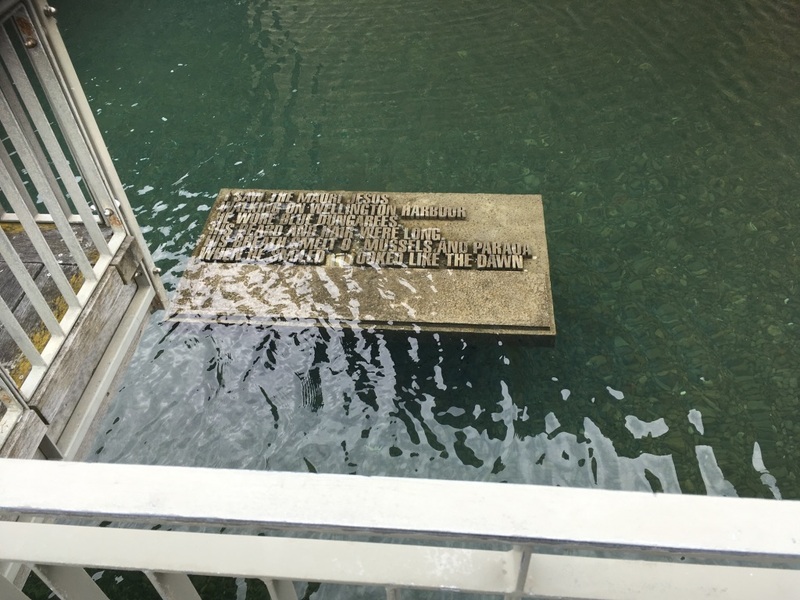 Furthermore we will need to check the typographic sculptures in different conditions if possible as below is the James K Baxter sculpture at high tide. This would not be ideal for NFT Tracking at all.